Are reds replacing greens? We don't think so, but we know that the most color rich foods are often the most healthy. Think green kale, dark blueberries and red tomatoes. For years, we've had access to green supplements and now, brands like Gundry MD have given us an easy way to consume more reds. 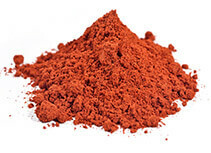 **Compared to other Reds on the market, Gundry Vital Reds is by far the most expensive but also delivers a much larger nutritional benefit than its competition. 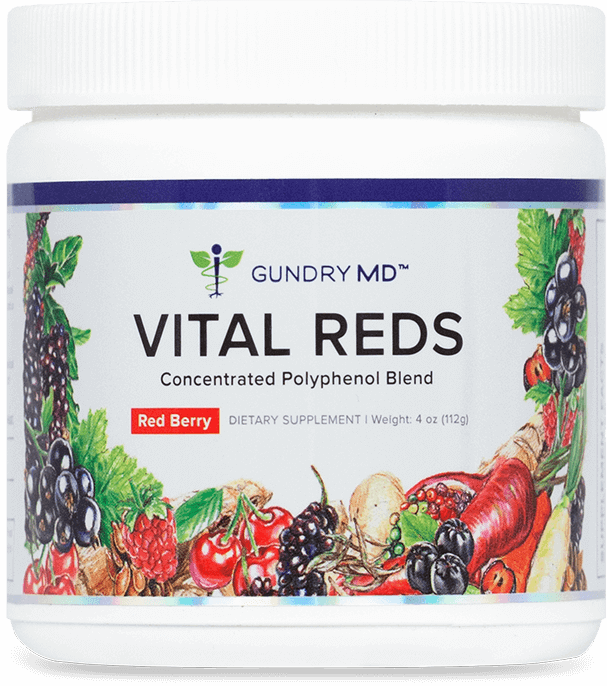 What is Gundry MDs Vital Reds? Vital Reds were formulated by Dr. Steven Gundry – founder of Gundry MD, a cardiac surgeon, director of the Center for Restorative Medicine, and the International Heart & Lung Institute in Palm Springs, CA and author of many books including the bestseller Dr. Gundry’s Diet Evolution. It is a fruit-flavored nutritional supplement that contains 34 polyphenol-rich superfruits with natural fat-burning ingredients, vitamins, minerals, and probiotics. It’s designed to be mixed with water, although you can mix with any beverage, hot or cold, and consume once a day. Users of Vital Reds are instructed to take one serving per day. Results should be noticed immediately but peak after 2-3 weeks of consistent use. Vital reds come with a 90-day money back guarantee. How do Vital Reds Work? The four groups of ingredients in Vital Reds means that this supplement provides several different benefits. Each group works synergistically with the other to boost energy, health, or both. 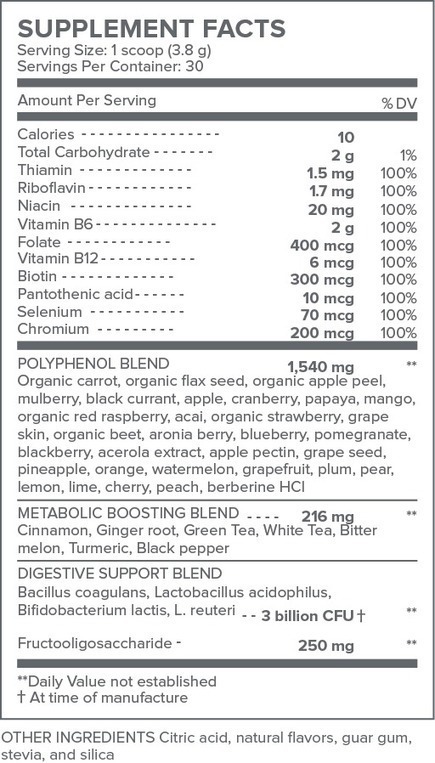 Polyphenol Blend – Polyphenols are phytochemicals, which are substances abundant in nature. One way to think of polyphenols is as vitamin-like substances. There are, however, over 8,000 identified polyphenols compared to only 13 vitamins. Like vitamins, phytochemicals are important for health and they have a powerful anti-oxidative effect. Your body is under constant attack from substances called free radicals. Free radicals are caused by a host of things including smoking, eating processed foods, over-exposure to sunlight, and pollution. Even some of the air you breathe causes free radicals in the form of reactive oxidative species, or ROS for short. Free radicals are unstable molecules with a missing electron in their outer shells. This makes them highly reactive and they careen around your body stealing electrons from other molecules which cause damage at a molecular level. This damage can result in many problems such as accelerated aging, macular degeneration, joint pain, damage to the brain and cardiovascular system, and even cancer. Your body does all it can to fight off free radicals by producing anti-oxidative enzymes but gets a helping hand from antioxidant nutrients such as flavonoids, stilbenes, lignans, and polyphenols. Antioxidants like polyphenols can give up an electron without becoming unstable themselves and so put the brakes on free radical damage. Studies show that Polyphenols are associated with decreased risk of a range of diseases. The antioxidant polyphenols in Vital Reds come from concentrated “superfruit extracts” including: Organic carrot, organic flax seed, organic apple peel, mulberry, black currant, apple, cranberry, papaya, mango, organic red raspberry, acai, organic strawberry, grape skin, organic beet, Aronia berry, blueberry, pomegranate, blackberry, acerola extract, apple pectin, grape seed, pineapple, orange, watermelon, grapefruit, plum, pear, lemon, lime, cherry, and peach. Metabolism-Boosting Blend – Being overweight can really sap your energy, but lack of energy can make it hard to lose weight. Vital Reds attempt to crack this conundrum with its metabolism -boosting blend of fat-fighting ingredients. To lose weight, you need to create a calorie deficit, which means you consume less energy than your body needs. This shortfall forces your body to use fat for fuel. Eating less and exercising more can all help create a calorie deficit and boosting your metabolism can help too. Vital Reds contain several metabolism-boosting ingredients including cinnamon, ginger root, green tea, white tea, bitter melon, turmeric, black pepper. Cinnamon is renowned for its ability to increase insulin sensitivity which helps ensure that blood glucose levels remain stable, leading to easier fat burning and fewer hunger cravings. Ginger has been revealed as an effective thermogenic that literally heats you up to burn more calories – even at rest. Green tea contains caffeine which increases fat cell mobility and provides energy and boosts metabolic rate. Studies reveal that green tea also enhances insulin sensitivity and is a good source of additional polyphenols. White tea, like green tea, has been linked to weight loss and, studies say, may suppress the genes responsible for weight gain. Bitter melon, like cinnamon, may help lower insulin resistance leading to easier fat burning and less fat storage. Studies suggest that is can also help keep blood glucose levels stable thus reducing hunger and cravings. Turmeric is a potent anti-inflammatory substance that can help reduce swelling and pain. It’s also known for its digestive-calming effects. Studies reveal that turmeric may also enhance fat burning by increasing metabolic rate and, like ginger, heats you up, so you burn more calories at rest. Black pepper helps increase the bioavailability of the active ingredients by protecting them from overly rapid digestion. This ensures that the ingredients have time to work their magic and are not digested too quickly. Digestive support blend – Good health starts with proper digestion, and that means you need a healthy digestive system or gut. If your digestive system is unhealthy, you are less likely to properly digest the food you eat, and that can lead to digestive upset, low energy levels, impaired immune system function and weight gain. To address gut health, Vital Reds contains a blend of probiotics. Probiotics are “good” bacteria that live in your digestive system. Stress, too much refined sugar, excess alcohol, and the routine use of antibiotics can deplete your levels of good bacteria while increasing levels of bad bacteria. This imbalance can directly affect your health. Vital Reds contain several strains of good bacteria including Bacillus coagulans, Lactobacillus acidophilus, Bifidobacterium lactis, and L. reuteri which can help with many problems including some food sensitivities and reduced bloating. Vital Reds contain 3 million colony-forming units or CFUs of probiotics. All the substances marked with * are forms of vitamin B. Vitamin B is commonly associated with energy and the effective breakdown and utilization of carbohydrates. Research suggests that people with a low intake of the B vitamins, especially B12, may feel more energized when their intake is normalized. Vital Reds is a very comprehensive food supplement. It’s easy to use as you mix it with water and consume it anytime that’s convenient. Be aware though that Vital REDs DOES contain caffeine (in the green tea) and so you should not use it too close to bedtime. It’s high in polyphenols which are something many of us do not get enough off and could benefit from. However, because it’s such a comprehensive supplement, it might be trying to do too much at the same time. There is no denying that the polyphenol content is high – this is a very good source of antioxidants, However, as a fat burner and digestive aid, it may be trying to punch above its weight. For example, while Vital Reds DO contain probiotics, it doesn’t contain a lot. Three million CFUs might sound like a lot, but most standalone probiotics contain 10-20 million CFUs, and some of the best ones contain 30 million. In short, you aren’t getting as many probiotics as you might need to improve digestive health. Then consider the vitamin and mineral blend; you get a lot of B vitamins plus selenium and chromium but what about the remaining 12 vitamins and close to 40 minerals? There are big nutritional gaps in this supplement. Admittedly the vitamins and minerals it does contain are linked to increased energy levels but vitamins and minerals do not work well in isolation. You will get more energy from a broader spectrum of nutrients. Vital Reds also contains several proven metabolism-boosting ingredients, but the quantities are going to be low as there are so many other things in each serving. None of the ingredients are new or unusual, and while they may provide a small increase in metabolic rate, they won’t cause weight loss without a healthy diet or exercise regimen. As a health boosting supplement, Vital Reds hits the mark. Antioxidants have been shown to be highly beneficial. The healthier you are, the more energy you are likely to have too. However, as a digestive health and fat burning supplement, Vital Reds doesn’t contain enough of the ingredients required to produce maximum results. Of course, all-in-one supplements are convenient because they save you from having to remember to take several different pills and powders every day, but that convenience may mean that you aren’t getting enough of some of the ingredients. Will Vital Reds boost your energy? Will it help you lose weight or fix your digestive issues? Maybe not. If weight loss and digestive health are big issues for you, you may be better off with standalone products to address those things separately. Vital Reds have received some mixed reviews around the internet. Some people LOVE the taste while others find it’s too sweet and doesn’t blend well. Users also report mixed energizing results and some going as far to say it did nothing for them. The high price per month is also a contentious issue, but it’s important to remember this is an all-in-one supplement, so you are getting several different products in one convenient serving.